See the interactive presentation here. Freddie Gray, a young black man from Baltimore’s west side, died under mysterious circumstances while in police custody. The incident sparked off rioting in the streets of Baltimore and indictments of the six police officers involved. 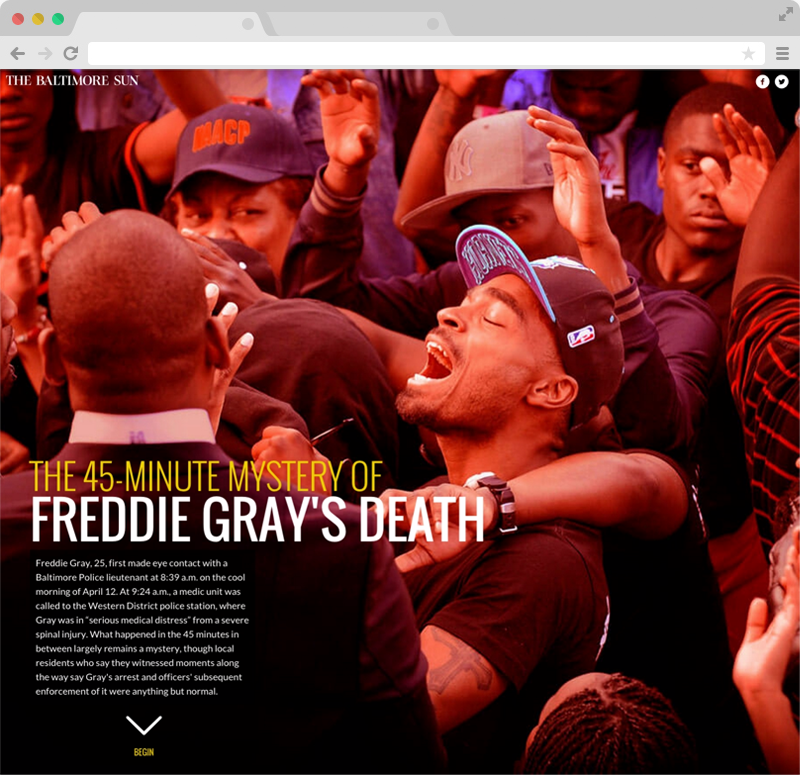 Published days before the unrest, this interactive explores what was known about the minutes surrounding Gray’s arrest through photos, eyewitness video and groundbreaking investigative reporting. I created the design for this project and Greg Kohn did the coding. Named a finalist for the 2015 Online Journalism Awards. Included in Editor and Publisher’s list of 10 Newspapers That Do It Right 2016. Included in a list of the best online journalism of 2015. Received an award of excellence in the Society for News Design’s 2015 Best of Digital Design competition.